United Soccer Academy has been providing quality soccer education to communities for over 20 years. We work with many organizations across the Northeast, including recreation departments, soccer clubs, YMCAs, and local schools to deliver exceptional soccer training programs. "I would highly recommend United Soccer Academy and Alan McClintock, the associate director of their soccer division, to other youth soccer programs and clubs... Alan has been a trainer with Summit Soccer Club since his arrival in the US in 2004. As the head of trainers for the club for the past two years, I have worked closely with Alan on training requirements per team, player evaluations, GK training, tryouts, winter programs, and other club programs to enhance the experience of our players in the club. Alan acts as the liason between Summit SC and USA and in all his interactions with the club continuously goes above and beyond on and off the field keeping the club's interests at the fore front. The relationship we have with USA is built on the trust they've earned as an organization and the consistently high quality of product (trainers) they put on the field. We find USA to be professional in all dealings and a pleasure to work with. I am confident USA will provide excellent service to any soccer organization that might engage them." 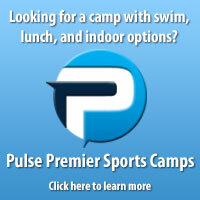 "After our Spring 2011 season, I went in search of a new training provider for our Instructional division. I went down to visit the indoor facility of United Soccer Academy. After meeting with Mark Lowdon and Mark Wilson, I was excited to get their proposal to my Board of Directors. After their presentation to our BOD, we voted unanimously to bring them on as our provider. Overall they are responsible for 20 Instructional teams from U6-U12, as well as our “Little Kickers” program, which has 46 U4 and U5 players. USA has provided everything that we discussed at our first meeting and far exceeded my expectations. Their knowledge of the game combined with their ability to facilitate that knowledge to the players has been great to watch. Not to mention their help in planning and scheduling training sessions... I would recommend USA to any soccer clubs looking to improve their players and am looking forward to a long lasting relationship going forward." "The USA Sport Group has done a tremendous job with our club. The training staff is an extremely talented group. They continue to motivate the Florham Park players in such a positive way. Their knowledge of successful training techniques coupled with their energetic approach to conveying that knowledge has proven to be a perfect fit for Florham Park Soccer. The trainers have formed a lasting impression on our players at both the Travel and Intramural levels. Our club continues to grow and improve as a direct result of USA's involvement. On an administrative level, Alan McClintock has been an absolute pleasure to work with. Alan is constantly in touch with club organizers and is always willing to work with the club on so many levels to meet our needs. Alan and his group have left an indelible impact on our club and our players... As club president I can speak for our entire program in saying that USA is a "home run" and we hope to continue with your group for years to come." "We would like to thank you and your USA staff for the wonderful soccer instruction you have provided our Chatham Recreation Program. Over the 15 years you have worked with our organization, you have provided us with summer camps, kiddie soccer programs, recreation clinics and training programs for our town's traveling soccer program. Response from our residents has always been positive with them consistently noting the way the instructors communicate with the children. The children enjoy what they are learning and can advance as their skill level progresses." "United Soccer Academy has provided training and coaching services to the Watchung Hills Soccer Association for the past 8 years. We have found USA's services to be outstanding. The Directors are very accommodating, and always available to meet with our Board members to review our programs, as well as recommend changes that will facilitate improvement. We have found our relationship with United Soccer Academy to be very rewarding, and mutually beneficial. It is our sincere hope that we will continue working together to improve and further our youth soccer programs." "United Soccer Academy (USA) has been a part of our program for several years and has consistently provided our program with talented professionals that not only bring great skill to the training session but a passion for the game that is contagious. The USA staff seems to derive their satisfaction from developing our young player's skills, understanding and love for the game while still having fun with the kids. They utilize new and innovative methods to make the training session interesting and effective. The USA trainers seem to add that secret ingredient to each session that engages the kids in a unique way. Our parent coaches have benefited greatly from working with the trainers. Having USA trainers work half the weekly practice sessions helps ease those coaches into coaching by providing training ideas and a professional example of how to practice. I have nothing but good things to say about the USA organization and I strongly recommend them for any recreational program." "Hub Soccer, Denville have been using United Soccer Academy, Inc. over the past 6 years to help train our travel teams. Their specialized training of younger travel teams has been terrific. With USA's help our travel program has improved dramatically. The past Spring season has seen 12 of our teams sponsored, currently 8 of these teams have systematically moved up to either flight one or two in respective age groups. USA has demonstrated to be professional in their dealings with young players, who have improved under their guidance. I highly recommend their organization to anyone looking for professional training for their team or soccer club." "I would like to extend our sincere thanks to you and United Soccer Academy for your support at our Community Night at the Somerset Patriots. All those in attendance enjoyed a wonderful evening at the ballpark. We look forward to working with the United Soccer Academy on future Branchburg special events." "For many years, United Soccer Academy (USA) has worked in conjunction with the Huntington YMCA to help provide children in the community with the opportunity to play the great game of soccer. Whether it be indirectly, by working with our coaches or with direct exposure through their soccer camps, they are always willing to help. We call upon USA at the beginning of each and every season to help teach our coaches some skills and drills necessary to succeed. The clinics they run are always informative, diverse, well organized, comprehensive, age relevant and most importantly of all, fun. I am always inundated with praise from our attendees after these clinics. As a result, a lot of our junior players attend their summer soccer camps held at the Huntington YMCA. The Soccer Squirts and World Cup camps are excellent programs which help develop the skills of the young children by playing fun soccer related games, age/skill specific drills and also safe controlled scrimmaging. United Soccer Academy are a truly professional outfit who think very hard about the programs they run. The time, effort and attention to detail on display in order to deliver a quality program for the children is second to none. All staff members and coaches I have dealt with through United Soccer Academies have been friendly, extremely competent at their job, and very professional."